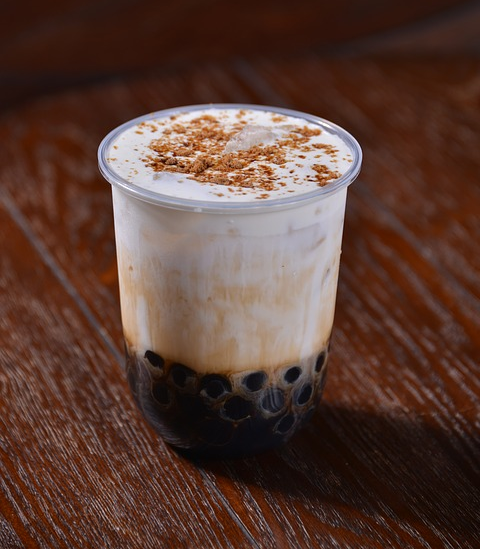 Boba has become a fast-growing trend in the last few years, but it originated from Taiwan in the 1980s. Liu Han Chie, Chun Shui Tang teahouse employee, experimented with milk teas, candied yams, fruits, and tapioca before finally mastering the product. Once it became a hit in Taiwan it became a huge hit in surrounding countries and started to spread. For those who do not know what these tiny, chewy balls are at the bottom of the drink, it is a gluten-free starch, extracted from the root of cassava plants (tapioca). The drink part of it all is a tea base, milk and flavoring all mixed together. This concoction is not limited to tea only. The drink can be iced coffee, slushies, smoothies and more. Any flavor can be used, ranging from grape to chocolate and lychee. A downside is, it may contain polychlorinated biphenyls, a carcinogen (cancer-causing chemicals), but it hasn’t been confirmed. The only upsetting facts about this drink is it comes with a surplus of calories and carbs. Consume in moderation, maybe as a sweet treat. Mountain Grind Coffee Company on North Ave, Four Winds Coffee & Tea on Bookcliff Ave, Artful Cup on N 12th st, Traders Coffee and Tea Co on Patterson Rd, and Pho 88 on Patterson, next to Barnes & Noble, all make boba in the valley. But are they any good? In my research, the determining factor is its taste and consistency. The boba should be smooth and slightly soft on the outside but firmer on the inside. The drink, however, should be completely blended, the ice shouldn’t dilute the drink and the sweetness level should be sweet but not to the point of puckered lips. Mountain Grind Coffee Company, on North Ave, right off CMU’s campus, specializes in coffee, baked goods, and boba. When you walk up to order you can see a mat on the counter that shows all the flavors they offer green tea, mango, mixed berries. Before heading out to try a completely brand new treat, I turned to my friend, Bryce Boggs, a boba connoisseur. He let me know, “The average cost is seven dollars. My favorite flavor is peaches and cream which is basically a smoothie milkshake hybrid and it literally is the best thing ever. They make homemade whipped cream and it’s a solid 10/10.” With this information, I was confident and excited to try out this new fad. I spent the whole $7 for a green tea boba, the cashier asked if I would enjoy their homemade whipped cream. I happily accepted. The configuration of my drink took about five minutes, at most, and it was definitely worth the wait. The creamy consistency was lovey, the sweetness of the drink was complemented by the whipped cream, and the pop of the chewy boba was fun to experience. The staff at this location was very kind and aimed to please. They deserve the 4.8 stars seen when reviewing them online. Next time you are considering a fun treat, head on over to get yourself a boba from Mountain Grind Coffee Company or any of the other companies that offer a taste of this fun Thai culture.